Producer Maxwell Benson premieres the new video “Sadat X Is Back”. The animated clip features vocals by former Brand Nubian member Sadat X. The video serves as an homage to Hip Hop culture which celebrated its 40th birthday on August 11th. Sadat X appears as a secret agent on a mission to save the essence of real Hip Hop from the villainous “Clone Da Rapper”. 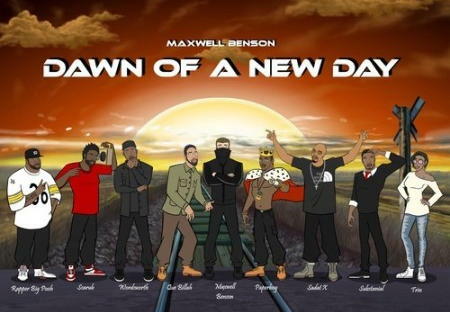 “Sadat X is Back” can be found on Benson’s EP Dawn Of A New Day available now on iTunes. Check out Maxwell Benson & Sadat X’s “Sadat X Is Back” video below. Reblogged this on THE HIP-HOP MAFIA.